Larry and Sharon Avey came across some information on the restoration of the Harv Lennox "Tammy Ten" car. Larry and Sharon Avey sent in this picture of a Harv Lennox win in the Tammy Ten. Not sure where or when. 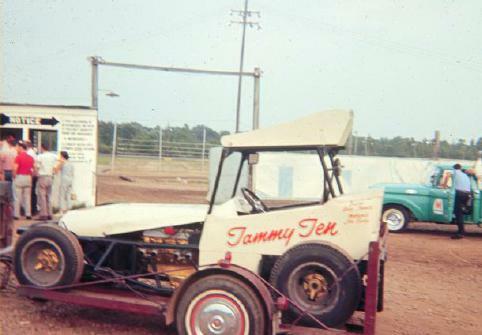 From the archives of Phil Bialas, a great shot of the Tammy Ten on the trailer, pulling into the Speedrome in Grand Rapids, MI. Not sure what race, but the picture is from 1964 and Harv won a major event at the Speedrome on August 8, 1964. 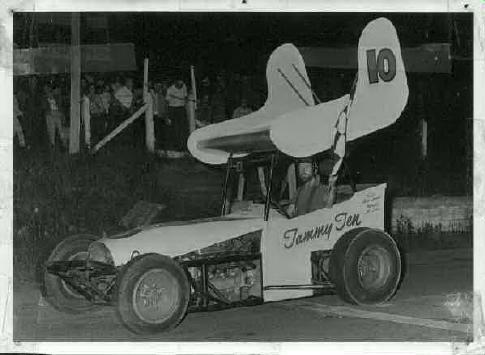 From the archives of Phil Bialas, a great shot of Harv Lennox in the Tammy Ten at the Speedrome in Grand Rapids, MI, 1964. 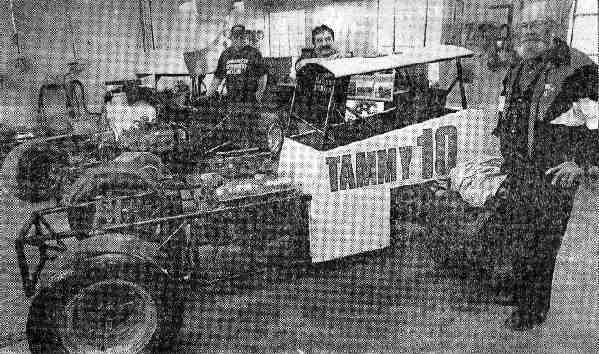 Larry and Sharon Avey sent in this Mike Hensen photo from the London Free Press (November 99) article about the restoration of the Harv Lennox "Tammy Ten" car. From the article, "Canadian motorsports hall of fame driver Harvey Lennox checks out this replica of his 1960's era supermodified race car, Tammy 10. The car has been built by Bob Brown, centre, of Burlington. In the background, Londoner Fred Starr stands with another replica, the No. 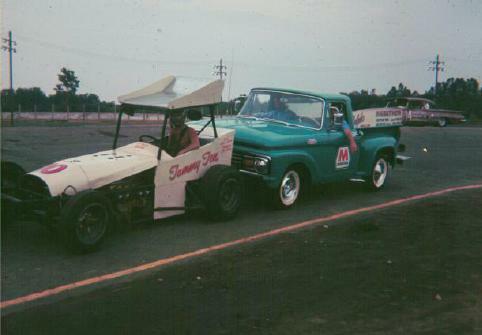 38 supermodified driven in the 60's by Jimmy Howard of Burlington. The cars were displayed last weekend to promote the London Vintage Super MModified Stock Cars organization, which stages vintage car races at area tracks".